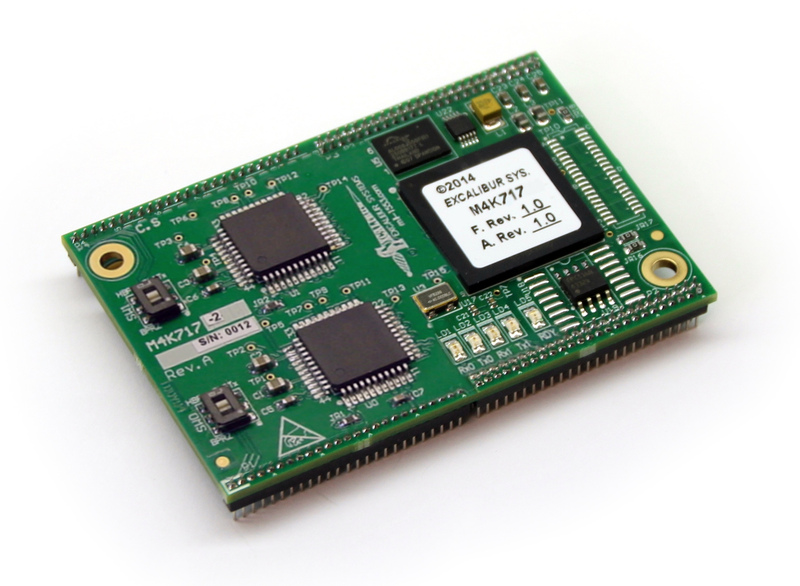 The M4K717 is an intelligent ARINC 717 interface module for the multiprotocol Excalibur 4000 family of carrier boards. The module supports two ARINC 717 receive channels and two transmit channels. In transmit mode, the module sends the four subframes from a pre-defined buffer in dual-port RAM. In receive mode, the module stores all subframes with status and Time Tag information appended to each subframe. The M4K717 comes complete with C-driver software library including the source code. Nx M4K717 ARINC-717 interface module with 2 independent channels.